Tomar posted a comfortable 10-0 win over Aso Palini of Canada in his first repechage bout but went down to Bekhbayar Erdenebat. 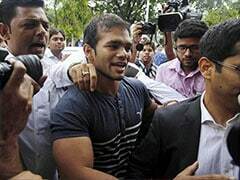 Rio Olympian Sandeep Tomar failed to reach the bronze medal play-offs after losing his second repechage bout on Friday, even as Indian grapplers continued to struggle in the World Wrestling Championships. India remained medal-less on the fifth and penultimate day of the competition. Tomar (57kg), along with Harphool (61kg), lost in the Round of 16 but the former got fortunate to get a repechage when his opponent from Japan made the finals. 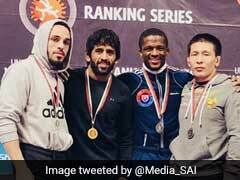 Tomar posted a comfortable 10-0 win over Aso Palini of Canada in his first repechage bout but went down to Bekhbayar Erdenebat of Mongolia 0-10 to miss out on a place for a third-fourth finish. Earlier, both Sandeep and Harphool lost in the Round of 16. While Yuki Takahashi of Japan beat Sandeep 14-3, Deepak was handed a 0-10 defeat by Cengizhan Erdogan of Turkey. Sandeep had advanced to the Round of 16 with a 8-2 win over European bronze medallist Zavur Uguev of Russia and Harphool blanked Elmedin Ssejfulau of Macedonia 8-0 in the qualification round. Other Indians -- Deepak (86kg) and Sumit (125kg) -- lost their respective qualification bouts itself to crash out of the tournament. 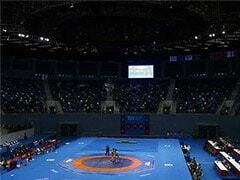 While Deepak went down 2-5 to Masao Matsusaka of Japan, Sumit lost to Russia's Anzor Khizriev 0-4.